Experience Havdalah like never before! 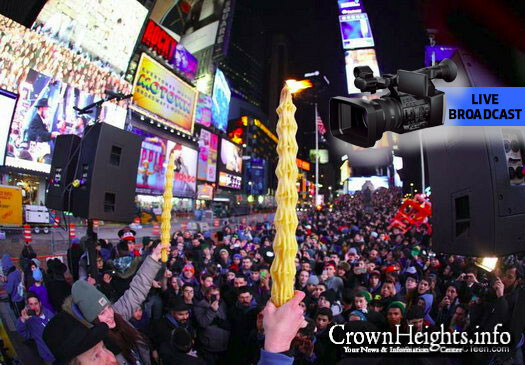 Join 2,500 CTeen’ers live as they take over Times Square with a massive Havdalla and Jewish concert at the Crossroads of the World. Broadcast starts at 8:45pm and will be carried here on CrownHeights.info! On behalf of every talmid, family, staff member, board member, community member, and the entire family of Oholei Torah, we want to wish you all infinite berochos begashmius u’beruchnius in an increased, Chodesh Adar manner, and conclude with a resounding: Yasher Koach — A Breiter Thank You! 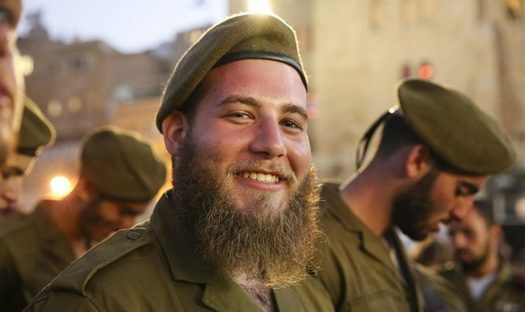 IDF paratrooper Joseph Brikman, a Crown Heightser who overcame personal hardships to join the IDF and now helps haredi youths connect with the IDF, wrote a Facebook post discussing the recent ceremony during which he received his red beret.